Mrs X was 85 years old when we took on her care. She had arthritis, a fractured neck, poor mobility and was awaiting a shoulder replacement operation. 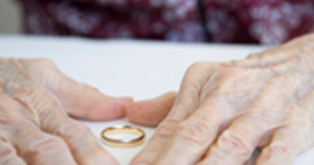 Mrs X was referred to us because the reablement programme, which she had been placed on when discharged from hospital, did not make progress with her. We put a new reablement plan in place for Mrs X, which meant that she received three visits from the same experienced carers each day, ensuring continuity and familiarity. These care workers encouraged Mrs X to do simple exercises, which built up her muscle tone and enabled her to do activities she previously struggled with. Since receiving our support, Mrs X's confidence and independence have improved, as has her quality of life. Mrs Y, whose career was as a neurological consultant, diagnosed herself with dementia about 10 years prior to us taking on her care. From the outset we have tried to gain as much information as we could about Mrs Y, enabling us to formulise a clear picture of her life. We have spent time speaking with her family about her background, interests, likes and dislikes. Gathering such information has led us to produce a care package suitably tailored to her needs. Today we continue to attend to Mrs Y at home in line with her wishes and those of her family. 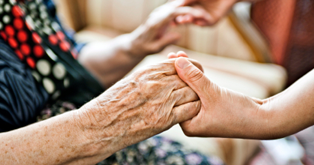 We carry out four double handed visits a day, assisting with personal care and daily tasks. Mrs Y's family report that they have felt fully supported ever since we took on Mrs Y's care and that she has become content and less agitated as a result. Mrs Z has Lewy Body dementia and Parkinson's disease. She was referred to us when she reached the stage of requiring intensive support. Mrs Z is at high risk of skin damage, muscle tearing, injury to her limbs, choking etc, and as a result we visit her three times a day, providing double handed care to assist her with her daily tasks and personal care. 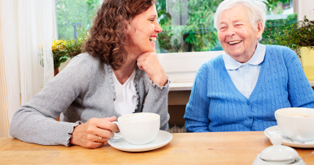 Mrs Z also struggles to communicate and can become distressed for long periods of time, however, over time the carers have developed a strong relationship with Mrs Z, allowing them to understand her needs. They have received pertinent training to enable them to deal with her specific conditions. Mrs Z's care plan has also been formulated to meet her physical and psychological requirements, for example she receives physiotherapy to improve her muscle tone and careful attention is given to positioning her in bed or in her wheelchair to avoid development of pressure sores. Mrs Z's condition has been stable over the past six months and, according to her husband, she is now less apprehensive and more relaxed. Ron has been unwell for most of his life and I have been his main carer with the support of my family. In December 17 Ron was admitted in the hospital. It was a very difficult time as his health deteriorated. He was accessed for continuing care. The whole experience of my brother’s poor health and coping with the pressure of the discharge to a nursing home was overwhelming. As a family we had supported my brother Ron to live independently with a care package and carers visiting him throughout the day and now we as a family were completely baffled in going through the process of finding a home. A colleague told me about Bridges Healthcare and that they could support me through this process and work with me to find a house. I met with 2 nurses who understood the process. They visited Ron in the hospital, spoke with the staff, supported me with the NHS Continuing Healthcare Decision support tool and came with me in viewing the appropriate home. Within 2 weeks we had selected a home and we had the fortunate news that a room was available for my brother. My brother is settling in his new home and we all are starting to feel settled. Nurses Sarah and Philips have been very supportive which is still ongoing, without them it would not have been possible for me to complete. They have been so professional and most of all shown compassion, which is something that's been lacking towards my brother Ron and our family from the PRUH. A very big thank you Bridges from Ron and his family. "You were all truly wonderful. Every one of you showed such compassion and kindness. It lifted our spirits. No words can convey our gratitude." "Thank you all so much for all the care and kindness that you gave us. A shoulder to cry on and a smile to lift our spirits through the tough times."